Manchester United must be feeling hard done by, as another number 7 has failed to live up to the billing since Cristiano Ronaldo’s departure to Real Madrid in 2009. Angel di Maria and Memphis Depay were big signings, and yet they flopped. 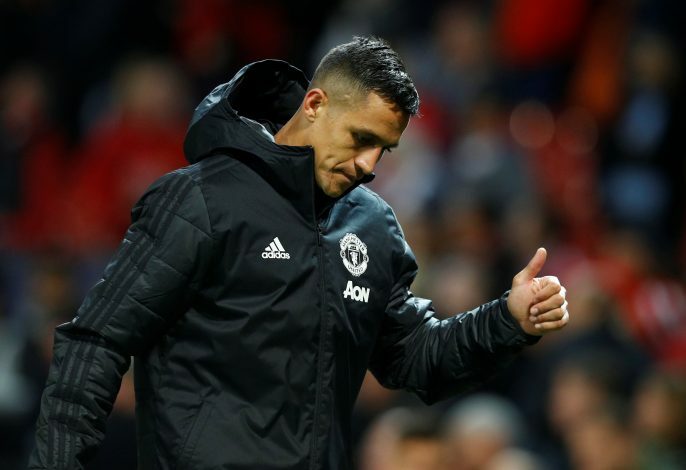 Big things were then expected from former Arsenal man Alexis Sanchez when he arrived in January 2018, but the form that made Sanchez the star in London has deserted him in Manchester. The Chilean, who has made just 7 starts for the club this season, suffered a blow ahead of a busy fixture period coming up. The versatile forward has suffered a hamstring injury, that will keep him out for at least 6 weeks of action. This campaign has been dismal for the player, as he has been plagued by injuries. And one would have wanted him to face his former club in the Premier League, but now that looks impossible. United are up against Southampton this weekend, and then face the Gunners next week. That will be followed by matches against Valencia in the Champions League, and an away trip to Liverpool. Jose would have hoped to have all his players available, but now, he will have to do without Sanchez for all these crucial fixtures. Meanwhile, reports state that United could offload the out-of-form player to lower their wage bill, as things have not gone as expected since his arrival. This could force Jose to look for an attacker in the upcoming transfer windows.